While we wait for the new Kentuckiana Digital Library to display Kentucky's historic newspapers, we continue digitizing new collections behind the scenes. Coming soon will be 50,000+ pages of Civil War era Kentucky newspapers. One of the most beautiful mastheads belongs to the Louisville Industrial and Commercial Gazette. We'll have content ranging from 1865 through 1872. Get ready! 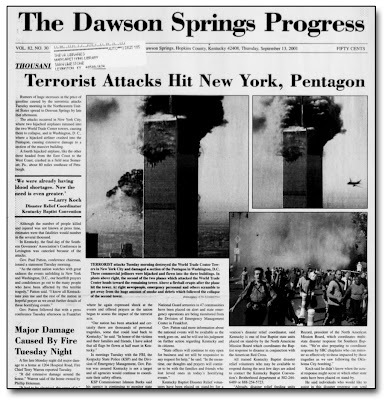 Our friends at the Rural Blog have provided a resource for 9/11 Remembrances that includes newspapers from KY, some of which were scanned from UK collections then assembled at the KY Press Association's site. More and more people are discovering the joy - and convenience - of digitized newspapers. Take, for example, professor and author Stephen Mihm's New York Times article The Biographer’s New Best Friend. 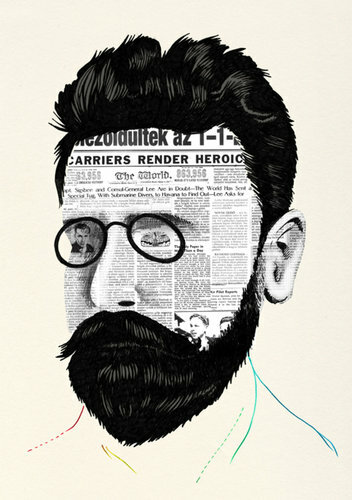 Mihm's outlines biographer James McGrath Morris' search for all things Joseph Pulitzer and how, through the technology of digital newspapers, previously hidden and all-too-hard-to-find information is suddenly available and changing how stories might be told. A shout out to our NDNP peeps at the University of California-Riverside for this great article! It's an exciting time to be involved with digital archives, digital curation, digital stewardship, digital preservation, digital collection development, well....digital everything! To bring the issues surrounding digital work, the folks at (I'm assuming) the University of Virginia have called for a Day of Digital Archives on October 6, 2011. "The Day of Digital Archives is an initiative to raise awareness of digital archives among both users and managers. On this day, archivists, digital humanists, programmers, or anyone else creating, using, or managing digital archives are asked to devote some of their social media output (i.e. tweets, blog posts, youtube videos, etc.) to describing their work with digital archives. By collectively documenting what we do, we will be answering questions like: What are digital archives? Who uses them? How are they created and managed? Why are they important? This year's Day of Digital Archives will be held on October 6th and entries will be gathered at the Day of Digital Archives blog http://dayofdigitalarchives.blogspot.com." KY-NDNP will do what we can to participate here, on facebook, and on twitter (look for #digitalArchivesDay for all tweets related to The Day). 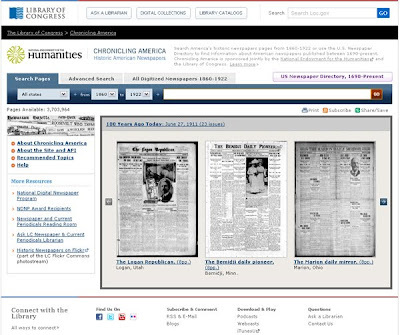 That's right, kids, The University of Kentucky Libraries has been awarded a rare NEH fourth grant for the National Digital Newspaper Program. 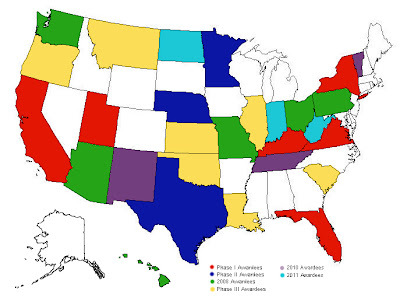 Meanwhile, the program welcomes three new awardee states: Indiana, North Dakota, and West Virginia. Welcome one and all - meet you at the finish line! Chronicling America gets a facelift! Chronicling America, home base for most of our KY-NDNP content, has recently undergone a beautiful transformation. Let our awardee partners at the Ohio Historical Society walk you through it with their fantastic post about the new interface. Go, now! In an article from Search Engine Land on May 20, 2011, Google announced that it is suspending its newspaper digitization efforts. What do you think?